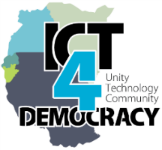 Rising awareness of the role the internet can play in promoting democratic governance, economic prosperity, civic participation and social inclusion is increasingly driving discussions around Africa. A growing number of stakeholders is getting involved in discussions to address gaps in the realisation of the potential of the internet in progressing socio- economic development and justice. Platforms such as the Internet Governance Forum gave birth to regional and national dialogues on the issues affecting internet governance and internet rights on the continent. Discussions on the technical management of the internet have been held by bodies like the Internet Corporation for Assigned Names and Numbers (ICANN) and the African Network Information Centre (AFRINIC). Similarly, the Africa Internet Summit (AIS) currently taking place in Nairobi, Kenya has seen yet another convening of stakeholders to explore the current landscape of internet access and use in Africa. The annual multi-stakeholder conference allows key players in Africa’s internet industry to interact with the global Internet community. The Collaboration on International ICT Policy for East and Southern Africa (CIPESA) will be sharing research insights and experiences on the relationship between internet infrastructure, privacy, surveillance and censorship in Africa. To-date, there remains little data in this area which is fundamental to support advocacy for improved policy development for online rights in Africa. Currently, the true extent of interference in communications remains largely unknown and subject to speculation where there is limited evidence of interference at an internet infrastructure level. During the AIS, CIPESA Executive Director Dr. Wairagala Wakabi presented on Tampering with the Open Internet: Experiences From Africa during which he shared insights from the 2016 report on the State of Internet Freedom Africa which forms the latest in the #InternetFreedomAfrica series of reports that CIPESA have released since 2014. Additional insights were shared during a panel discussion on Internet measurements and Internet freedom alongside Centre for Intellectual Property and Information Technology Law (CIPIT) and Small Media (UK) during which the digital resilience of civil society was also discussed. The discussions built on presentations made by Research ICT Africa and AFRINIC during workshops they hosted at the Summit. Meanwhile, CIPESA and the Association for Progressive Communications (APC) will host the Forum on Internet Freedom in Africa (FIFAfrica) in Johannesburg, South Africa on September 27–29, 2017 where there will be continuation of similar discussions including the cross paths of internet use, access, policy and online rights in the continent. The African Internet Summit (#AISKenya) taking place in Nairobi has raised various arguments for the measurement of internet infrastructure in Africa. The current internet landscape features various forms of online interruption, some of which go unnoticed due to the absence of measurement.